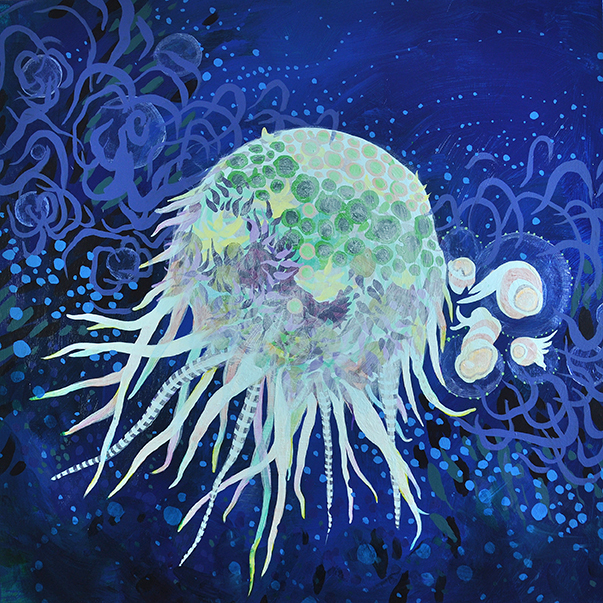 Paintings in the Sea Change series focus on movement, scale-change, and transformation. Formally, this occurs in the composition and also in the atmosphere or feeling of the worlds created. Each composition’s sense of movement draws from cycles in nature, such as growth and decay, changing seasons, and rising and receding tides. Design motifs were inspired by spirals that repeat in different natural systems, including DNA helixes, flower structures, hurricanes, and galaxies.